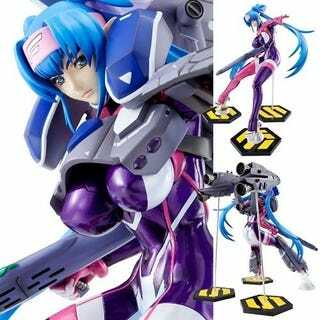 Blue-haired Macross character Clan Clang is getting yet another figure for the pile. This October, this Mega House "armored version" Clan Clang is going on sale in Japan for ¥12,600 (US$137). Armored version? Really? That's what version this is.